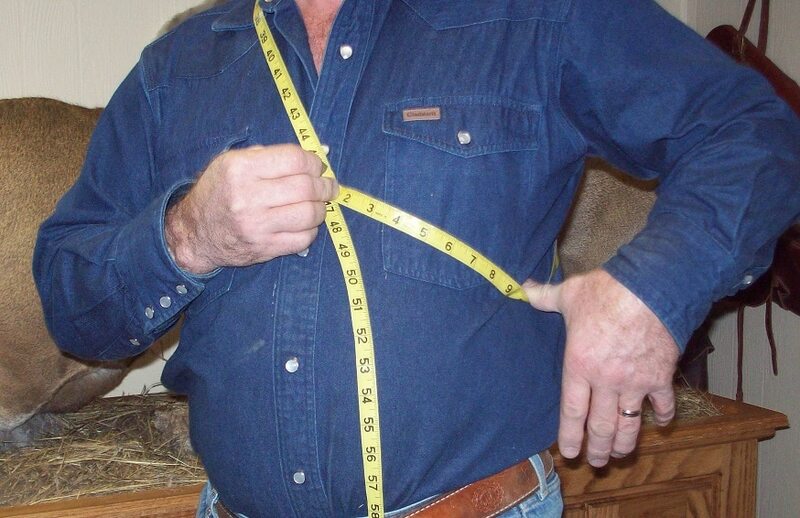 Measure 6 ” above your waist as shown in photo. Norm is at 46″, so he takes a medium. If anything does not fit, please let me know and we can exchange. This formula has worked well so far!